The most important team in your company is your sales staff, and your marketing strategy should strengthen all aspects of your sales process. Tired of Not Having a Plan? Our holistic approach is centered around supporting sales; this allows us to plug into your existing systems or build a completely new marketing strategy. The first step to getting your marketing on track is a marketing consultation where we can get an overview of your unique business and make recommendations as to the best course of action. Breg is the second largest U.S. provider of orthopedic bracing. They are partners to 2,500 clinics, over 6,000 orthopedic surgeons and 1,500 Integrated Delivery Networks, providing sports medicine and rehabilitation products to one million patients annually. 257.6% increase in impressions and a 432.6% increase in engagements. 62% open rate on the email messaging and created 1.5% new clients. Landing pages generate 20+ new conversations each month; not to mention the increased user experience for prospects who are in conversation with sales representatives. I’ve been using Direct Business Marketing’s Seller Leads program and I’ve been getting plenty of leads – I’m mean good quality leads too. These guys have been managing a small, yet effective, PPC campaign driving Internet leads to my Home Profit Calculator website. And it HAS gotten me leads. Put it like this, in a month’s time, I’ve signed on 2 listings without spending my entire $500 budget. I’m telling you this because I believe this program will work for you too if you’re looking at generating seller leads. Thanks a bunch guys!!! Direct Business Marketing did an outstanding job building our new website. From introducing highly beneficial and critically important innovative ideas, to demonstrating excruciating patience with our team and multiple roundtable discussions, the end result of their efforts has added immensely to our marketing efforts and provided us with a ‘best in class’ website’. Absolutely what my business needed! After working with 2 other “experts” over a year’s time period, we were completely frustrated at the lack of results we were getting based on the thousands of dollars we were investing month in and month out. When we turned to Direct Business Marketing (DBM) for help, we weren’t sure if they were just going to be the third company we would be disappointed in or if our fortunes had changed… Boy were we happy it was the latter! Within 2 months of working with DBM we saw a 300+% increase in leads using the same monthly spend. We’ve now more than tripled our PPC spend as the number of leads and quality of leads we’re receiving continues to get better and better! 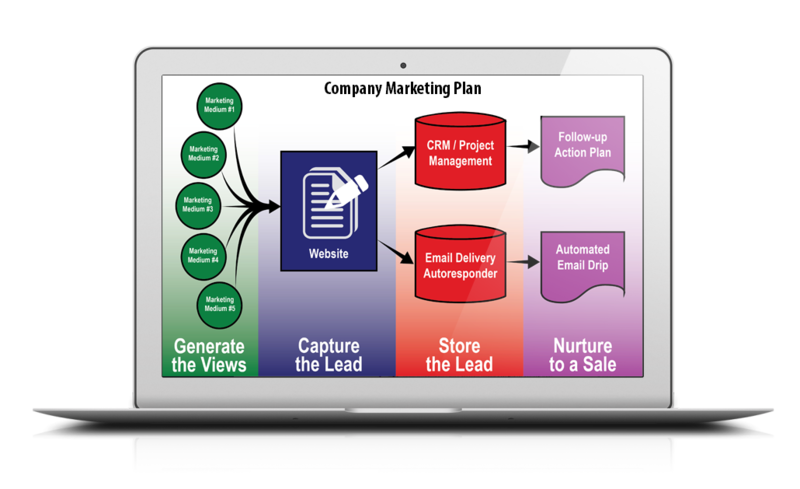 Using our proven marketing system – Generate, Capture, Store and Nurture – we create marketing strategies that assist your sales team in turning leads into sales.